The Women Entrepreneurs: Defining Success panel consisted of Cyan Ta’eed, co-founder and Executive Director of Envato, Melanie Gleeson, founder of Endota Spa, and Sam Cobb, founding CEO of AdAlta. Amanda Gome, regarded business journalist and CEO of Notable Media, moderated the panel. The panelists took different approaches to start their companies. Recounting those early tough days, Ta’eed confessed that she underestimated both money and time when starting Envato. It took her years of freelancing with her co-founder husband and living in her parents’ basement before Envato was sustainable. Gleeson had a similar experience: there was a period where she and her co-founder had no steady income as they founded Endota Spa. In contrast, Cobb headed to angel and high-networth investors, applied for government grants and approached venture capital firms to get funding for her biotech venture AdAlta. “It took a lot of presentations but perseverance eventually paid off,” Cobb reflected. Human capital was another key discussion point. “Is it about hiring slowly, but firing fast?” asked Gome. Ta’eed laughed, “It was more hiring and firing slowly for me.” She spoke about hiring people she could learn from. Cobb also leveraged the knowledge of others, however she preferred outsourcing work to contractors. As a result, she had few permanent staff when beginning her company, opting for the best contractor for specific jobs she had. Gleeson was more team-orientated, with the majority of original Endota Spa team still with her since after 16 years.. Gleeson believes the secret to her high employee retention rate was hiring according to shared values and beliefs. This approach helped her find the best people that suited the business philosophy, and has led to a successful franchising model that has grown across Australia. Gomes led the discussion towards work/life balance. Ta’eed recommended deciding what your non-negotiables are and work towards achieving this. Her example, spending time with her family of young children is a non-negotiable for Ta’eed. She achieves this by outsourcing household chores such as grocery shopping and cleaning. Maintaining confidence and ‘imposter syndrome’ was another area the panel discussed. Ta’eed confessed that even to this day, she feels uncomfortable and that she was still trying to figure it all out. This sentiment was unanimous, despite the panel's individual, collective success. “Don’t aim for perfection,” Cobb advised. “Even now, no-one really knows what they’re doing.” Ta’eed went on to explain she how dealt with ‘not feeling good enough’. "I make it a point to say ‘yes’ to things I’m excited about, even if it scares me. I figure I’ll just learn on the way." Michelle Ho is a current Master of Management (Marketing) student. 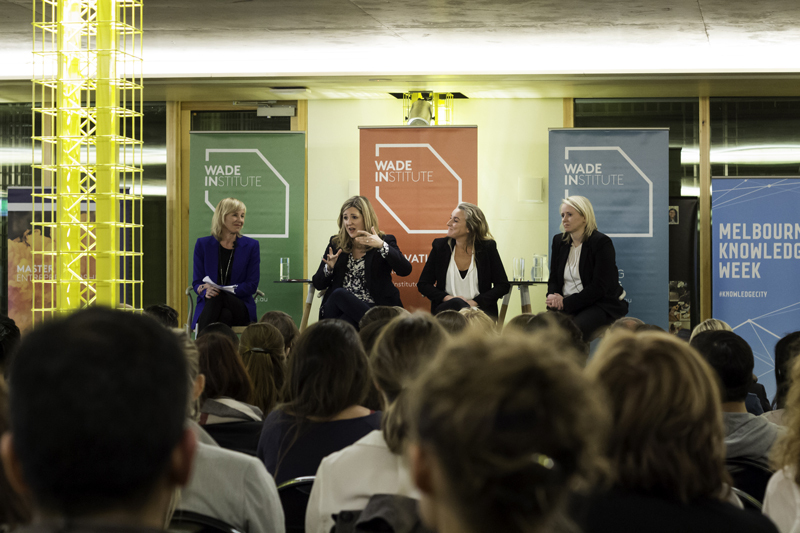 Women Entrepreneurs: Defining Success was presented by the Wade Institute and MAP as part of Melbourne Knowledge Week. 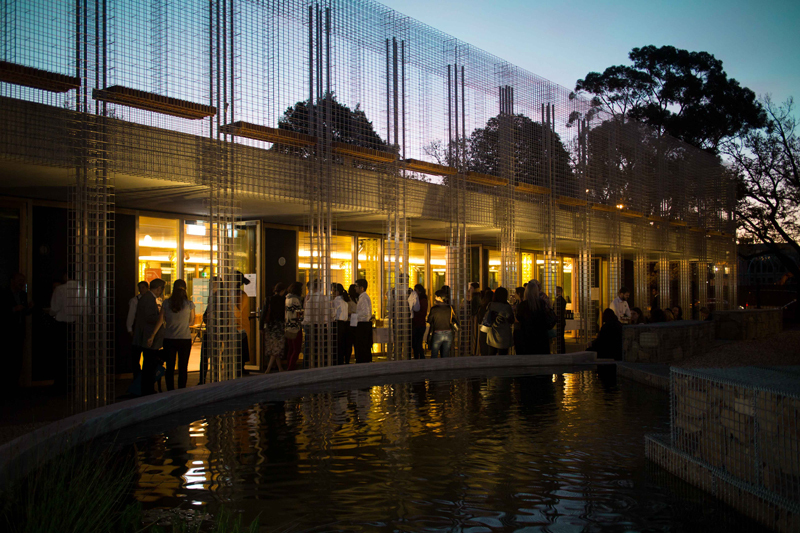 Find out more about the Master of Entrepreneurship.